FIRE stations across Greenwich borough could be closed under dramatic cost-cutting plans by the London Fire Brigade. The Mayor of London Boris Johnson has instructed the brigade to save £65 million over the next two years. Up to 30 stations, 30 fire engines and 840 jobs across London are now under threat. "One appliance stations are an expensive way of providing the service… In Greenwich, it costs some £940k pa more [than similar boroughs], because it is delivered mostly from one-appliance stations"
Greenwich, East Greenwich, Eltham, Woolwich, and Lee Green fire stations are all currently run with just one fire engine. Only Plumstead fire station has two. By contrast Bexley has just three fire stations covering the whole borough. Under a proposal being considered by the brigade, only one-appliance stations will be targeted for closure. Any closures could significantly increase the time it takes firefighters to reach incidents in the borough. According to internal brigade statistics, response times for two-appliance stations are up to three times longer on average, than for areas covered by single-appliance stations. Asked about station closures earlier this month the Mayor’s chairman of the Fire Authority James Cleverly pointed out that the number of fires across London has dramatically reduced in recent years. Over the last 12 years the number of fires in London has fallen from 48,000 a year to just 27,000. A full list of stations threatened with closure will be released in November. "As the Government's austerity programme bites harder, it is clear that serious spending cuts are being considered at City Hall affecting the Metropolitan Police Service and the London Fire Brigade. These could well have a disastrous impact on front-line services, including the downgrading of Neighbourhood Police Teams, the loss of fire appliances and closure of Police and Fire Stations. 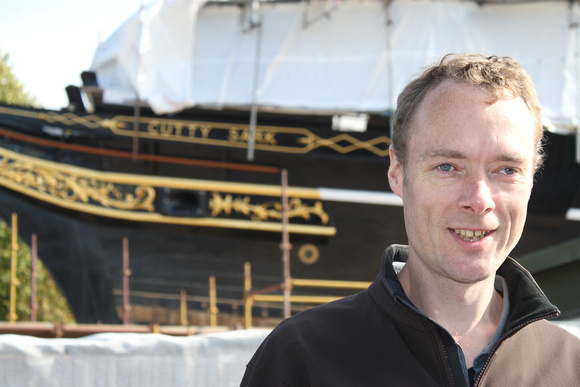 While not opposed to efficiency savings which have no adverse impact on public safety, I will be scrutinising very closely any proposals which could increase the risk of harm to the public through crime, fire or other emergency, and will strenuously oppose and such cuts that threaten the safety of Greenwich and Woolwich". Parents at a local primary school have reacted furiously after they were given “insanely short notice” that their children could not begin school at the start of term. Parents of children in the new reception classes at Halstow Primary School in Halstow Road were told just two days ago that work on a new school building had overrun. They will now have to start a week later than other pupils. The children had been due to begin their first day at school today. Executive Head Mary Whitehead told parents: "I am sorry to inform you that I have had to take the decision to delay the start of term for reception children by one week... The new building is nearly ready but the flooring and toilets are not fully completed. I can only apologise for the late notice and the inconvenience this will cause. Please be assured this decision was not taken lightly and my only consideration has been that your child starts Halstow in safe and organised surroundings." One angry parent told Greenwich.co.uk: "I was absolutely stunned when I received the email. The school had assured us that the building work would definitely be finished in time and that even if it was not, that alternative accommodation could be found for the children. This is a big inconvenience. "I spoke to another parent yesterday who was in floods of tears about it. They have only just got back from holiday and now they are going to have to tell their boss that they need another week off at insanely short notice. The children are also very disappointed. I am not happy at all about the way Halstow has handled this. How can we be sure it will even open next week?" A newsletter sent to parents in July promised that all renovations would be completed over the six week summer holiday. A source at the school explained that electrical works had overrun meaning that they had no choice but to delay the start of term for some children. Halstow’s website today made no mention of the delayed start. The school’s management were contacted for comment yesterday but had not responded by the time of publication. 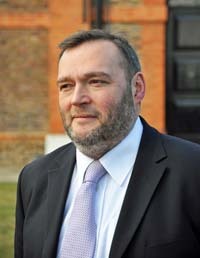 “If I was a young black man I would hate the police” says John Russell, Liberal Democrat candidate for the London Assembly speaking to Greenwich.co.uk last month. John Russell is young, passionate, articulate, and outspoken. Maybe a little too outspoken. As I begin my interview with him we are suddenly joined by one of his party colleagues who I get the distinct impression is here as a minder. As our companion looks on I ask John how he feels about the Liberal Democrats being in coalition with the Conservatives. It’s true that London Liberal Democrats have distinguished themselves from the party nationally. On the London Assembly they regularly attack the Mayor from the left, have formed a coalition with the Green Party and Labour, and their manifesto was described as “a properly liberal and progressive agenda” by the Guardian. Yet they have also campaigned against things which are arguably a direct result of cuts made by their party nationally. How does John manage to square those two things? The Lib Dems have traditionally been a party of protest, picking up seats against whichever party happens to be in government at the time. With that role taken from them, they have instead focused relentlessly on local issues. In this part of London that has meant campaigns on the closure of the Greenwich and Woolwich foot tunnels, and a campaign to highlight how much the council has spent on becoming a Royal Borough. 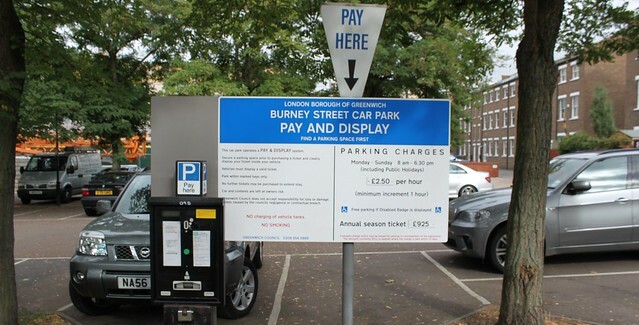 As part of this campaign John has attempted to get full costs for the celebrations from Greenwich Council. The council restricts public questions at full council meetings to two per person, and they can only be asked by residents of the borough. "I have been putting in questions. 11 this time. They will not let me put in questions in my name as I live in Lewisham!" Wasn’t this a misuse of council resources in order to further his election campaign? So was John using assumed names I ask again? “No” comes the reply from our companion. Any protest votes in this election that John does manage to get will be against the Labour incumbent Len Duvall. I ask him what he makes of Duvall’s record as Assembly Member. Would that be something he would change? Is Duvall partly to blame for that? “I’ll be honest with you against my party’s policy I’m not a huge fan of the Olympics. The Olympics are here. They’re happening. I think it’s great that Greenwich has Olympic venues but the security issues and the impact on the local citizens raises a whole host of questions. My primary concern is about the security impact of placing missiles in Oxleas Wood and Blackheath. Obviously the Olympics are a terrorist target and the government need to work with security personnel to make sure that citizens are safe during the games, but step back and look at what’s happening. Surely it’s better to be safe than sorry I ask him? What exactly is he worried about? It’s certainly an alarming prospect and one that John will have a chance to put to the organisers directly if he is elected. Why should voters choose him? Elections to the London Assembly take place on May 3rd. Get more information from London Elects. You can read our interviews with Green Party candidate Roger Sedgley and Labour’s Len Duvall here. I meet the Green Party’s London Assembly candidate Roger Sedgley at his award-winning architect’s practice in Greenwich. A long term resident of both Greenwich and Lewisham, Roger is dismayed at the quality of many of the recent developments in the area. Sedgley is more enthusiastic about the cable car currently being built on the Peninsula by the Mayor Boris Johnson. Wasn’t that originally a Green Party idea? Somehow I suspect that building a cable car through the centre of Greenwich Park would have been even more controversial than plans to hold the Olympic equestrian events there have been. Was Roger in favour of those? When the Olympics do come to Greenwich, all eyes will be on the park and the town centre. What about the rest of the borough? But the roads approaching Blackwall Tunnel are already blocked up with cars pumping pollution into the air. How can we deal with that exisiting situation? Sedgley seems well versed on local issues. But when I ask him about the specifics of his party’s policies, his knowledge seems far sketchier. And what about fares. The Green’s mayoral candidate Jenny Jones insists that she could cut transport costs as well. How would she pay for that given the cuts to TfL’s budget? These are questions commonly asked by Londoners, with polls showing that only a minority can describe who their Assembly Member is, and what they do. But for one of the candidates for the job itself to be asking these questions is slightly more worrying and suggests that whoever wins this week has got a lot of work to do. “I’m not exactly high profile in the media” says Len Duvall speaking to Greenwich.co.uk earlier this month. If Duvall wins next month then he will begin this fourth term as the London Assembly Member for Greenwich and Lewisham. But despite being in the job for over a decade, many people in the area will struggle to name him. Like long-serving Greenwich MP Nick Raynsford, Duvall is a quiet operator who seems more interested in getting on with the job than becoming a political celebrity. But it is Duvall’s dedication to that job that is now being questioned by his opponents, some of whom have criticised his role as director of developers Tilfen Land. Duvall is chair of the London Labour Party, and the party’s candidate Ken Livingstone has attacked Boris Johnson for being a “part time Mayor.” Is Duvall a part time Assembly Member? Duvall points to his role in securing the Cutty Sark DLR station as evidence of his commitment to the borough and says that he has been “humbled” by the responses he has received on the campaign trail. The polls show that while Labour are likely to win more seats on the London Assembly, they will struggle to unseat the Conservative Mayor Boris Johnson. Duvall is highly critical of Johnson’s decision to cancel the proposed Thames Gateway Bridge at Gallions Reach, but he says he is in favour of the mayor's alternate proposal, a road tunnel at Silvertown. But couldn’t new crossings be funded by private investment and sponsorship like the Mayor’s new cable car on the Peninsula? Will he be jumping aboard later this year? Duvall was the former leader of Greenwich Council. I ask whether he supports the campaign being led by Labour councillor Rajwant Sidhu to return to a committee system. 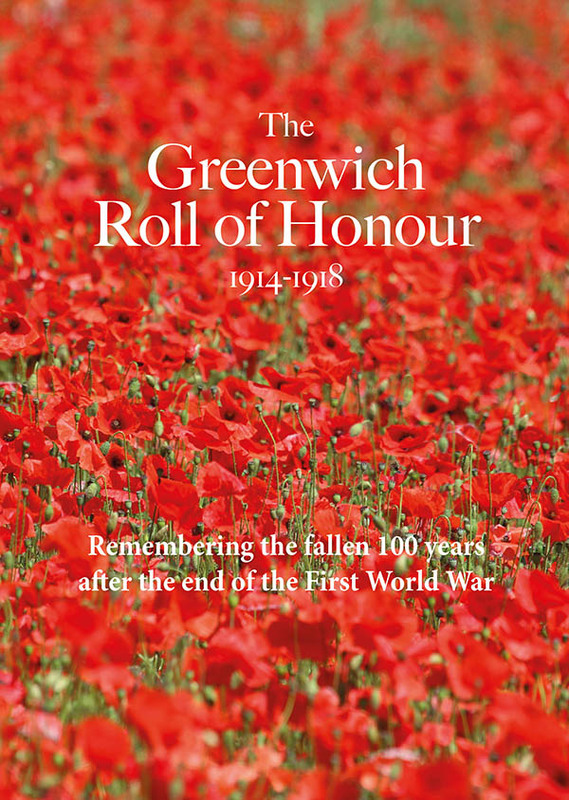 Should the council continue publishing the Greenwich Time newspaper, despite new government guidelines discouraging such papers. How does this help with transparency? One newspaper that Duvall has regularly balked at is the Evening Standard. At the last mayoral elections, the paper campaigned vigorously against former Labour Mayor Ken Livingstone, leading to charges of bias. Following a change in ownership, the paper promised that it would be far more balanced in it’s coverage with sources close to Livingstone insisting that they were promised a “fair crack of the whip” at this election. “Sometimes you get the press you deserve” says Duvall after another week in which the paper has splashed with damaging front pages for Labour's mayoral candidate. I’m interviewing Duvall soon after the paper's owner told the Leveson Inquiry that he is a personal friend of Boris Johnson. It’s new editor Sarah Sands is also reportedly a close family friend of the Johnson’s. Does he think that this has been a factor in their coverage? For a politician who claims that he doesn’t engage with the media very often, this seems like an extraordinary intervention. “The provision of information when things go wrong is just very poor. The snow hits the line and then everybody is in bloody chaos because even the staff can’t give you any answers. And I think they’ve worked hard since then and understand that so things can only improve. But I think there’s an argument when contracts come up to look again and question what the operators have been doing… I personally think there should be a Rail Board for London, a sub board of TfL overlooking this. A GREENWICH Council Cabinet member is secretly campaigning to overhaul the leadership structure at the council, Greenwich.co.uk can reveal. Days after it emerged Cabinet member Cllr Rajwant Sidhu would be leaving the Cabinet following Labour's internal elections, the internet name DemocracyGreenwich.co.uk was registered - with Cllr Sidhu's address listed in the domain's registration details. The website name redirects to an online petition calling on the authority to change from the current ‘leader and cabinet’ system to a committee system in order to "bring Power back to the People." Although DemocracyGreenwich.co.uk is not registered to Councillor Sidhu by name, a Land Registry search revealed that the domain registrant's address belongs to the Woolwich Common councillor. Councillor Sidhu refused to either confirm or deny his role in the campaign when contacted by Greenwich.co.uk. When asked whether he had set up DemocracyGreenwich.co.uk, he replied that "this is not something which I can comment on." Greenwich.co.uk revealed last week that Cllr Sidhu would be exiting the Cabinet at the council's AGM next month. 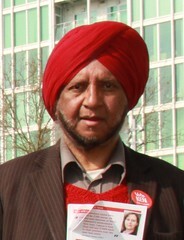 In a move which has left some local Labour members "fuming" according to 853, he is to be replaced by Cllr Harry Singh. The committee system that 'Democracy Greenwich' are calling for limits the direct power of the council leader and would give greater powers of scrutiny and decision-making to individual councillors. The committee system was commonly used by local authorities until the introduction of the Local Government Act 2000. A local referendum can be called on changing the leadership structure of a local authority if 5% of local electors petition for it. However, the new Localism Act gives councillors the power to change the system themselves without the expense of a referendum, by way of a majority vote on the council. Two local authorities including the London Borough of Sutton recently voted to revert to a committee system. The campaign to reform Greenwich Council is being led by members of the local Labour Party who are believed to be unhappy about the powers held by the current leadership. Controversial changes to local masterplans are also thought to be a key factor, with some local party members believing that the proposals are being “forced through” by the leadership. One senior party figure willing to put his name to the campaign is the chairman of Greenwich and Woolwich Labour Party David Gardner. Gardner was one of the first signatories on the petition, but could not be reached for comment today. The Conservative group on the council withdrew a motion at the last full council meeting calling for a change to the leadership structure after Chris Roberts said that officers were already looking at the proposals. Greenwich Council's cabinet last night voted unanimously to close down Blackheath Bluecoat school despite overwhelming opposition from staff and pupils. The school has failed to reverse a decline in pupil numbers in recent years, in spite of improving exam results. It will close its doors for the final time in August 2014, with some year groups leaving in 2013. Council leader Chris Roberts blamed the school's troubled reputation for their decision, saying that "popular mythology" about pupil behaviour was keeping new admissions away. "The question is, could the school sustain the improvements it has made with the level of cuts that would be necessary? My view is that it could not." Decreasing numbers of pupils have not been matched by cuts in staff numbers, leading to the school accumulating a £1.5 million deficit. Cllr Jackie Smith, the cabinet member with responsibility for schools, said it was unfair for this deficit to continue to impact on other schools in the area. "There has been funding coming to the school that was in excess of funding that we would otherwise have received. But all that has done is allowed us to build confidence and to appoint exceptionally talented, hard-working committed staff who have delivered the goods in the classroom and improved the life chances of pupils as a result. Yes that has costs but was it worth it? You bet your life it was." "It could not be clearer that there is no community will in this borough to close Blackheath Bluecoat School. To continue with the closure despite of this is therefore perverse and undemocratic." He urged councillors to give him more time to turn around the school, and said that the three year window afforded to him by the council had not been a "realistic" period in which to reverse its decline. The council’s decision means that Greenwich borough will no longer have a Church of England secondary school. CofE schools in neighbouring boroughs are currently oversubscribed. Chris Roberts admitted that this situation was "not sustainable" and floated the possibility of a new CofE school to be built on the Greenwich peninsula. However, officers said that there was "no funding stream" currently available for such a school. Around a hundred pupils and staff marched on the town hall last night to protest against the expected closure of the school and there were chants of “shame on you” as councillors left the building. "I'm shocked and disappointed because it seems clear that the cabinet members didn't listen to any of the points that were put forward either in the consultation or in what was said this evening and have made a decision that is not right for the pupils in the school and for the future of Church of England education in the borough. I accept that these are constrained financial times but I think that children's education is more important than short term financial loss." He conceded that the council's decision to close the school was "unlikely" to be reversed but said that they were "considering our options." "I think they've done superbly and I'm proud of the very mature, controlled and sensible way in which they've handled themselves. I want the pupils and staff to continue to work as hard as they have to achieve the very best public examination outcomes that they possibly can do, not only for themselves but to demonstrate to the council just how wrong they were to close the school."